This book is meant for the reader who has already begun to tell stories and is ready to learn more about the art. Instead of rules to follow, it gives you a series of frameworks that encourage you to think on your feet. Doug Lipman is a storyteller, musician, Parent's Choice Award-winning recording artist, and storytelling coach and instructor. As a performer, he has appeared at the National Storytelling Festival, the National Jewish Storytelling Festival, Pete Seeger's Hudson River Revival, and numerous other venues. 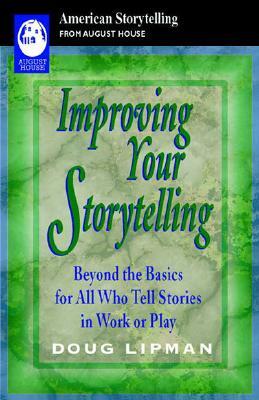 His previous books include The Storytelling Coach. He lives outside Boston and writes at the Brookline Deli. Book Details: 224 pages, 5 1/4 x 8 1/4, paperback, August House, Inc.